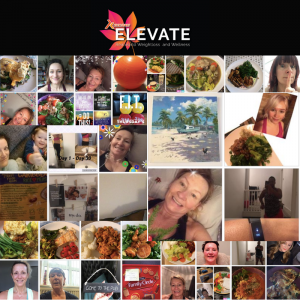 Team Kick Start Elevate online with Rachel Holmes are now on their LIFT LEAN month and loving the workouts! The weight loss and health improvements have been fantastic so far and are continuing to inspire us! I don’t know if yesterday was particularly bad or if my awareness is increasing but negativity was everywhere!! Situations!! People!! SLB!! It really affected me yesterday and brought me right down! Lift lean is my thing! Pow!! Taking you right up to Easter! Supercharge Spring Sprinter is where you see and feel radical changes and transformation. January and February is all about getting your fitness levels up, improving your body composition and nutritional habits in place and losing weight. March into April is where we really supercharge your results and this is where we take your health, wellness and weight loss goals to the next level. Each week will be an optional challenge to keep you motivated and excited plus a choice of 3 daily workouts for all levels and goals.